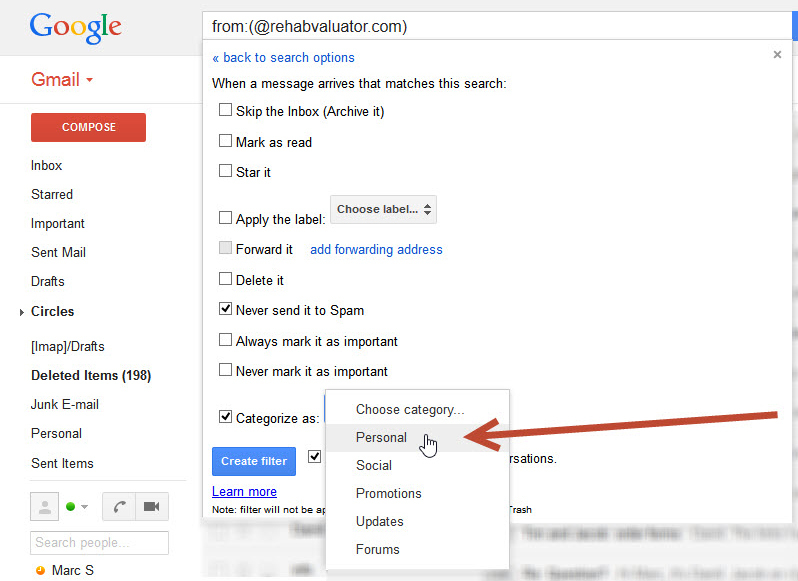 Click the Settings icon in Gmail (It’s the gear in the top right). 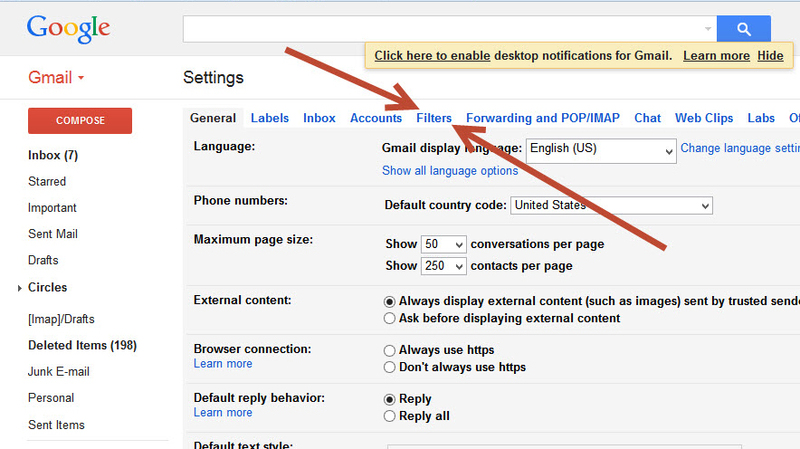 Then click on settings. 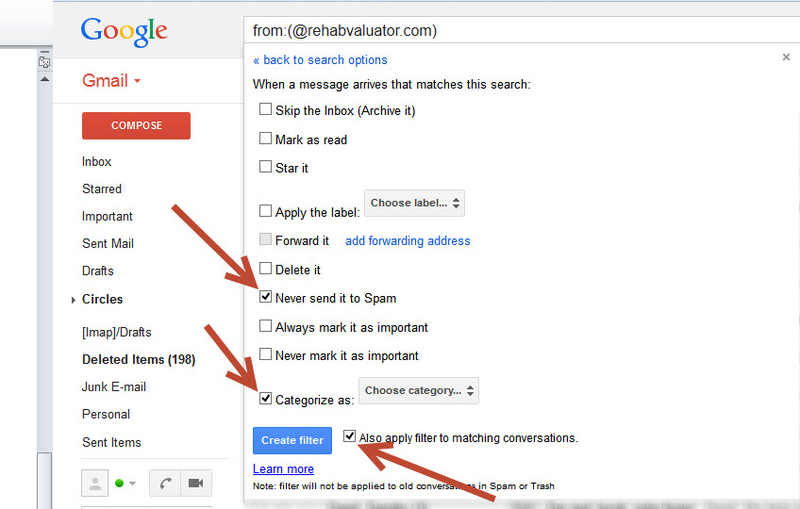 Click Create filter with this search ››. 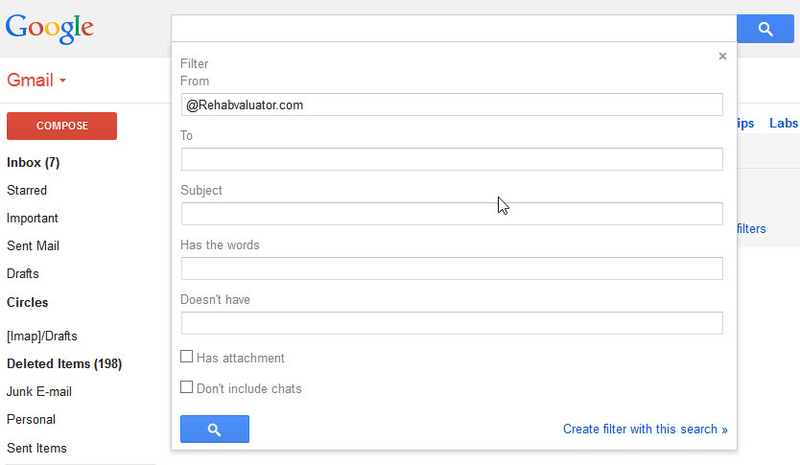 Make sure “Never send it to Spam is checked. Thank you so much…You are the FIRST in all the years I’ve been online, to not only remind me to “save this email address” but go the next step of HOW TO “save the email address.” I salute you!!! Thanks! We try and take the guesswork out of things. If you have any questions let us know. Thanks– you covered every step! That was real easy to do!! Been struggling to categorize my mail for ages!! Thanks for your step-by-step guidance. Amazing and easy to follow, I love how the tutorials are all set up. Just beginning the course! Than you for making this so easy! I am excited to get started. I can’t thank you enough. The lesson on whitelisting is the most comprehensive that I have seen. THANK YOU! i SPENT OVER 45 MINUTES A FEW EVENINGS AGO TRYING TO WHITELIST A DIFFERENT SENDER…I FINALLY FOUND THE LIST OF “CONTACTS” AND JUST EDITED ONE OUT TO PUT THE OTHER SENDER IN. FRUSTRATING, MADDENING, ANGRY. CAN’T TELL YOU HOW MANY YEARS I’VE NOT WHITELISTED ANYBODY….TODAY IS THE NEW DAY…THANK YOU THANK YOU THANK YOU!!!!!!!!!!!!!!!!!!!!!!!!!!!!!!!!!!!!!!!!!!!!!!!!!!!!!!!!!!!!!!!!!! Awesome! It’s always good to learn more about the tools we use each day. Let us know if you need anything else. Good tips. Looking forward to starting with the software.